I found a fun link. Makes me think of whether or not I can follow through on that resolution stuff...we shall see???!!!?? 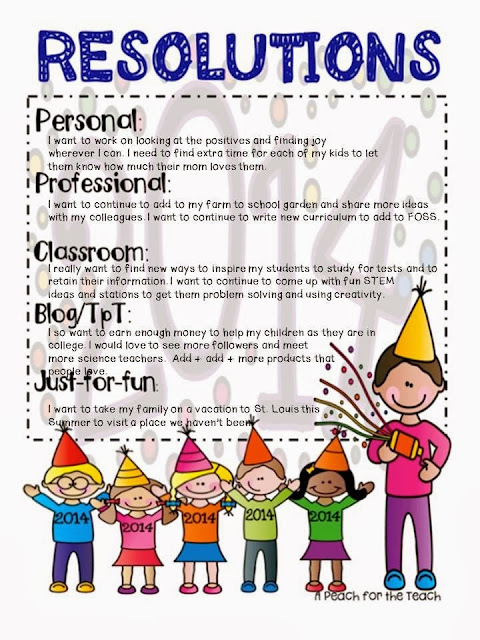 So, I am linking up with A Peach for the Teach to share my resolutions. Check out my thoughts for 2014. Hi there! Finding the positives and going on vacation sounds great! I'll work on those, too! I enjoyed reading your resolutions! Thanks for linking up! Happy New Year!